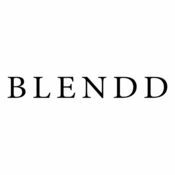 BLENDD started in 2015 with the aim of influencing the Indian Design Industry by collaborating with designers at various stages of the design process. BLENDD manufactures an exclusive range of value added fabrics at request. We aid in the design endeavours of some of India’s top designers by providing them with essential fabric apparatus in constructing couture masterpieces. BLENDD’s design is a modern take on the ethnic Indian story. We take inspiration from the various traditions that are part of Indian festivities, along with its diverse heritage in architecture and regional cuisines. Our Head Designer, Nailesh Anmi, a textile engineer by profession is a student of Indian myths and legends, and unravels his fascination in folklore through his design. © Blendd 2014. All Rights Reserved.